"The ancient city of Valletta is teeming with historic monuments, churches and gardens. At just one-third of a square mile in area, Europe's southernmost capital is one of the easiest to explore on foot. Given Malta’s strategic location and succession of rulers including the Romans, Normans, Sicilians, Spanish, Knights of St. John, French and British, it’s somewhat surprising to see Valletta so well preserved. The city dates back to the 16th century and has been listed as a UNESCO World Heritage Site since 1980. Extensive restorations of historic buildings are underway, including the rebuilding of the city entrance to mark Valletta's recognition as the European Capital of Culture in 2018." Now a sun-bleached provincial capital, Siracusa was once one of the most prestigious cities in the known world. Founded in the 8th century BC by settlers from Corinth, Siracusa gradually grew in prestige to rival Athens and was considered the western capital of Magna Graecia. In the Greek world dictators, often called tyrants, exercised unlimited power over colonies like Siracusa. Although often unpleasant people, they also often patronized poets and artists and competed to bring intellectuals to their courts. Siracusa was home to Archimedes, Plato and Aeschylus during its height of power and prestige. Today's visitors come to marvel at the remains of the ancient structures, reminders of the past glory and rich history of the area. 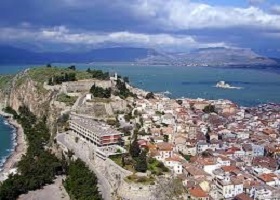 The city is superbly situated at the head of a beautiful bay and enjoys a mild climate. The coastline to the south is renowned for its beauty, clear waters and evocative, mythical scenery. There are romantic abandoned coves and wide, sandy beaches not easily matched anywhere else in Italy. "Rhodes, the largest of the Dodecanese (the name translates as ""twelve islands""), draws more visitors than most other Greek islands. Its capital, Rhodes Town, offers an enduring blend of history and architecture, and the island's interior is filled with lushly forested hills. To the south, Lindos, one of the most stunning villages in all of Greece, is watched over by a picture-perfect ancient ruin on the hill above. The island owes its rich history to a good climate and a strategically valuable position between Asia and Europe. 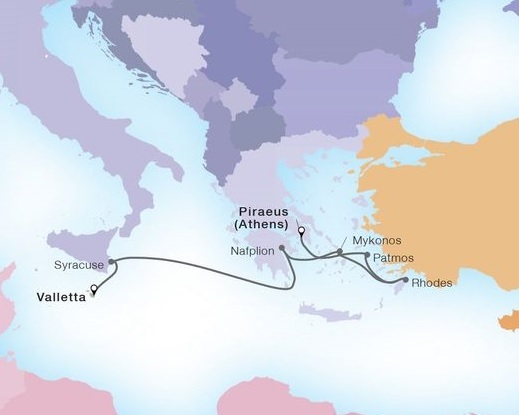 Adding to this is a fine natural port where its former main attraction, an immense statue of the sun god Helios—the Colossus of Rhodes—once stood. 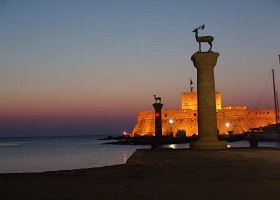 One of the Seven Wonders of the World, the statue made Rhodes a must-visit destination for ancient world travelers until it collapsed in an earthquake in 226 B.C.E. Even the statue’s ruins were grand enough to bring curious travelers to Rhodes for another 800 years until the metal pieces were melted and sold off by an occupying army." "No modern metropolis is more steeped in myth than Athens, Greece. From the gritty port of Piraeus—gateway to Greece’s fabled isles—to the Parthenon—eternal symbol of Western civilization—Athens has attracted adventurers and classicists for centuries. This heritage is still very much alive for modern visitors sightseeing in Athens: ancient stadiums and temples dwell alongside apartment blocks, modern performances are staged in the marble amphitheaters where Greek drama was born and millennia-old monuments are scattered in the archaeological park that circles the Acropolis. 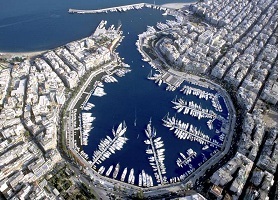 One of the world’s oldest maritime powers, Athens is blessed with a balmy climate and stunning coastline. The seaside suburbs of Athens are scalloped with sandy beaches, fancy yacht clubs and glamorous beach bars. While the Athenian lifestyle is known for late-night dinners and dancing until dawn, the city shines brightly by day in the bustling markets, lively cafés and fascinating museums that illuminate Greece's past and present. Contemplate the magnitude of all that culture and ancient tourist attractions while marveling at the sun setting into the Aegean or rising over the Acropolis. "